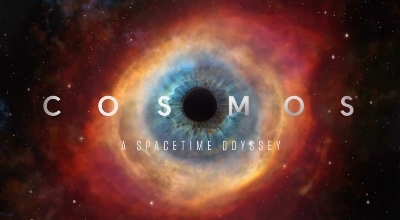 Beware of New Series Cosmos! Carl Sagan’s Cosmos Reboot NOT WHAT IT IS SOLD TO BE! Nat Geo/Fox with Neil deGrasse Tyson | Truth with Snares!? Beware of new series Cosmos! Carl Sagan’s Cosmos series reboot NOT WHAT IT IS SOLD TO BE! Nat Geo/Fox with Neil deGrasse Tyson – More than SSSTTRREETTCCHHIINNGG The Truth of History!!! Straight Personally from me about new Series Cosmos!!! My opinion, Cosmos is intellectually dishonest, anti-Christian (perhaps outright anti-any religion), downright deceitful it smells of a personal agenda and I found it even more disconcerting that our President did the intro! Giordano Bruno is presented as a HERO of science BUT that is NOT factual! I will be watching it now for other reasons then to learn some great truths because we cannot trust it, Cosmos is propaganda but for who!? Cosmos shows Bruno as a hero of science and dishonestly rewrites history for reasons only the creators of this so-called Carl Sagan reboot know, please be very wary and warn friends/family to take it with a proverbial grain of salt. Cosmos is sure to “wow” us with some facts but watch out for the arsenic mixed in! ← Dr. Albert Mohler Standing Together with the Sun and Moon People Cult (Mormons)! ?